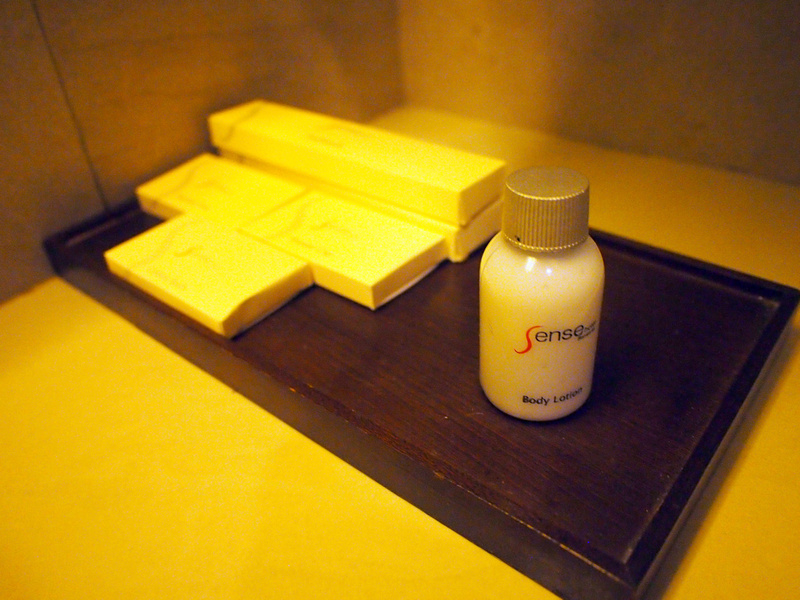 I stayed at the Sense Hotel Seminyak in Bali. I compared hotels with Hotelscombined, using the search filters of 4-5 star hotels in Seminyak. There is such a glut of hotels in Bali that it makes more sense to search for 4 or 5 Star hotels first to see if there are any special deals going on. 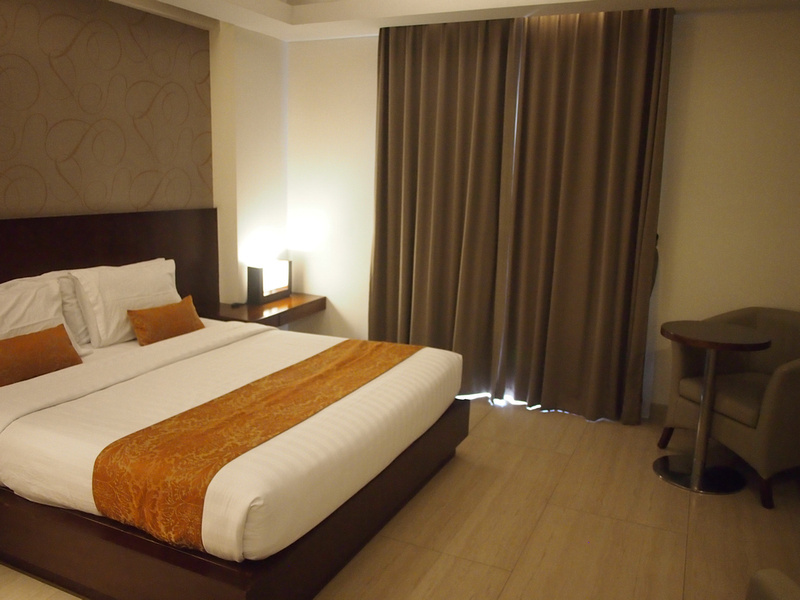 You could also search for all Bali hotels, but for this particular trip I wanted to stay in the Seminyak area. 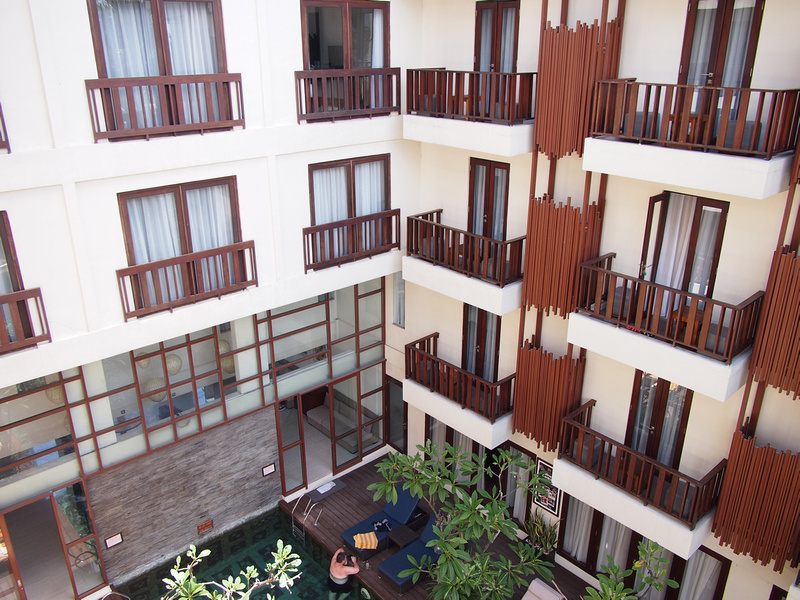 The Sense Hotel Seminyak is a 4-star hotel located between Seminyak Village and the beach. The centre of gravity for Seminyak has moved to Seminyak Village in recent years, and the restaurants and clubs along Petitenget Street has made it one the coolest places in Bali. 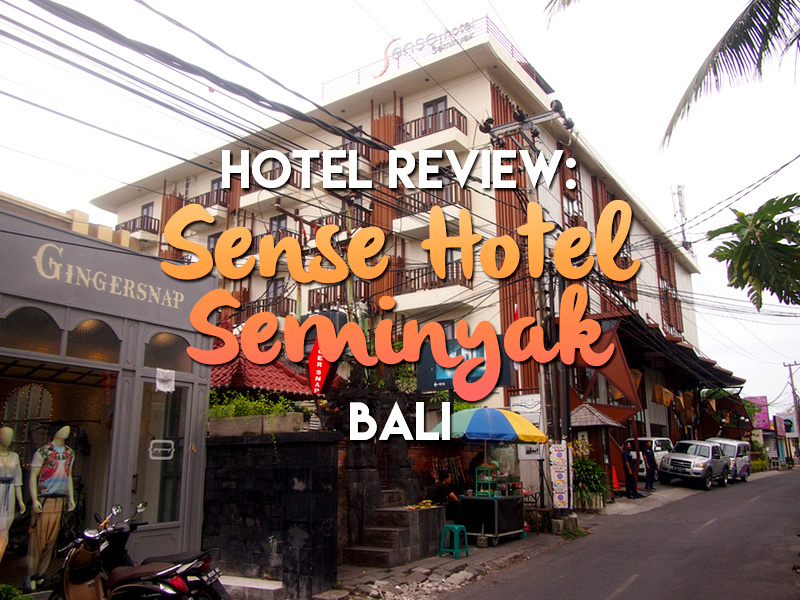 I particularly liked the location of the Sense Hotel for being a few minutes walk from the Seminyak Village shopping area, and close enough to the beach. I arrived to a friendly reception and received a welcome drink while doing the check-in formalities. I got a double room which had a view to the pool courtyard. 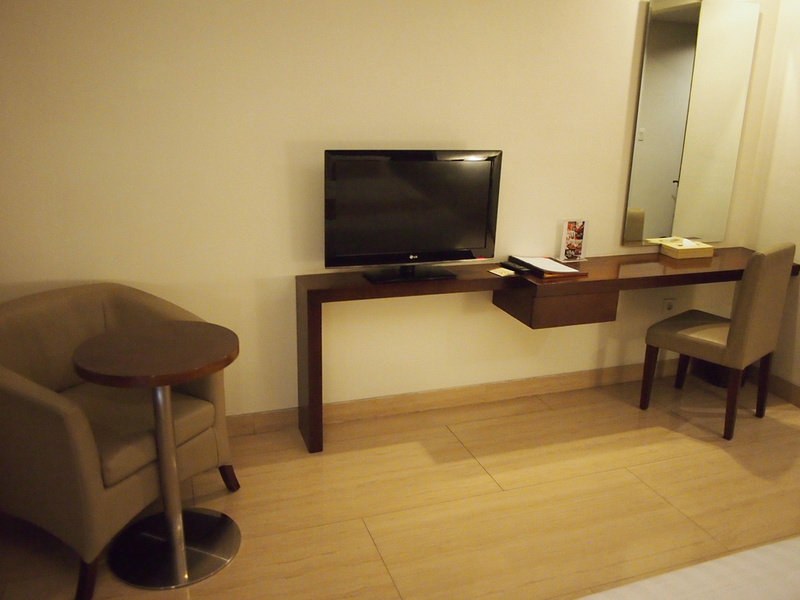 The room was spacious and the bed was super comfortable. The work desk is custom-built to fit along the wall next to the TV. This good use of space made the room feel roomier. It would have been better if the power outlets were above the desk though, as looping power cords around the desk is not a good design. 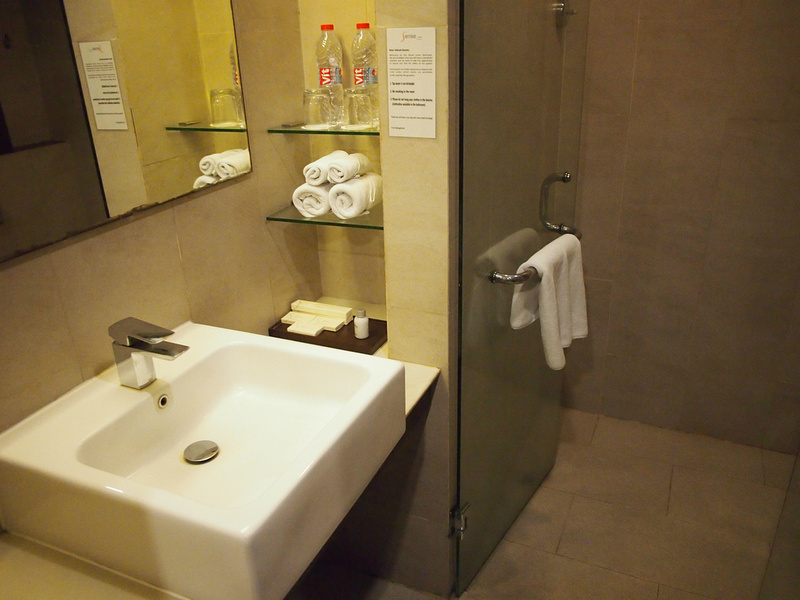 The bathroom was modern and spacious. I liked the walk-in shower, though the shower itself was one of those rain showers affixed to the ceiling that pours straight down on you. I prefer to at least have a hand-held shower option. A selection of hotel-branded toiletries. 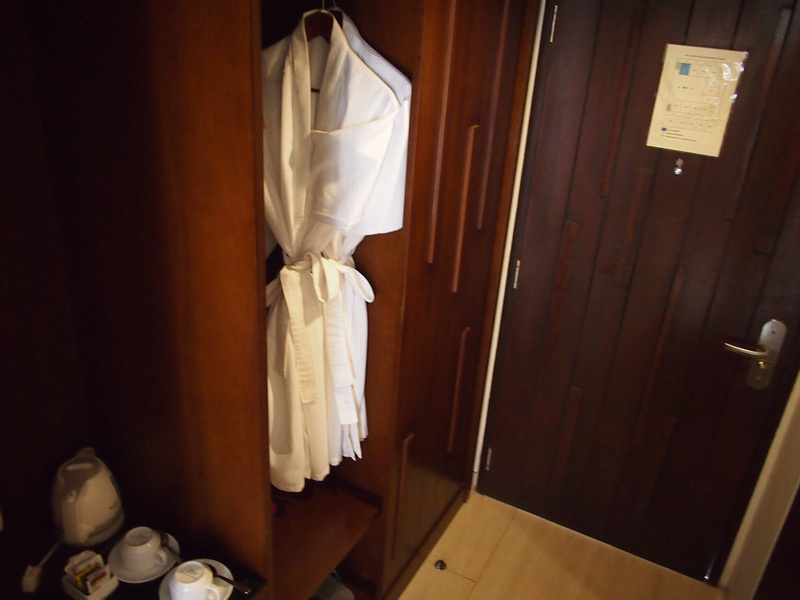 And of course dressing gowns and tea and coffee kit is provided. The building is well designed to make the most of the space. From the outside the hotel looks like a big block. In the middle of the hotel is the pool with the rooms providing an atrium space. In this way every room gets a balcony for natural light. The wall facing the sea has windows facing the outside. 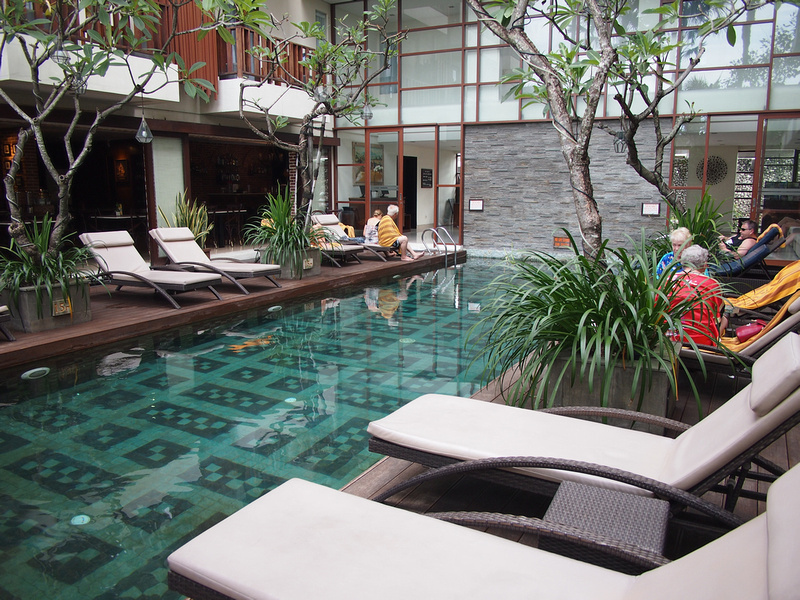 The pool area is a bit small, but it is a nice space with a Balinese-style garden and pleasant greenery. My room rate didn’t include breakfast so I opted to have one of the menu items instead of going out to a local cafe. To my surprise the breakfast deals worked out cheaper than getting a coffee and croissant at one of the local cafes. The breakfast was very reasonable for a hotel buffet, but I try to avoid the buffet now as I don’t have an “off button” when it comes to breakfast buffets. 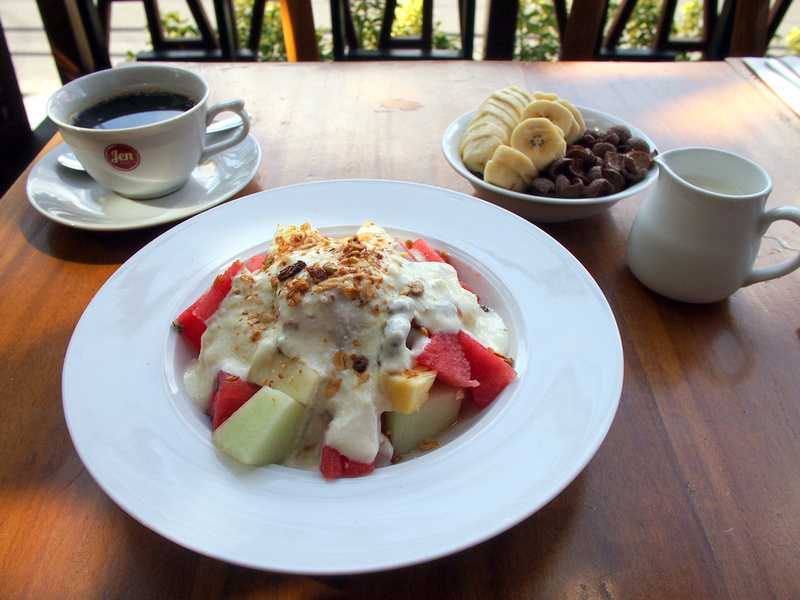 I had the fruity healthy breakfast for 55,000IDR ($4.10 USD) which included the fruit, cereal, and coffee. The buffet was 75,000 IDR. 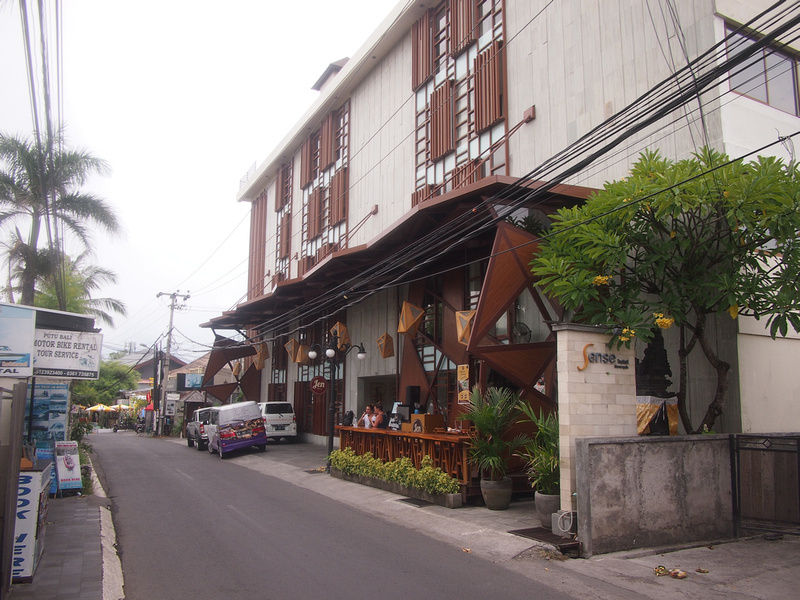 Overall this was an excellent hotel to stay at in Seminyak. 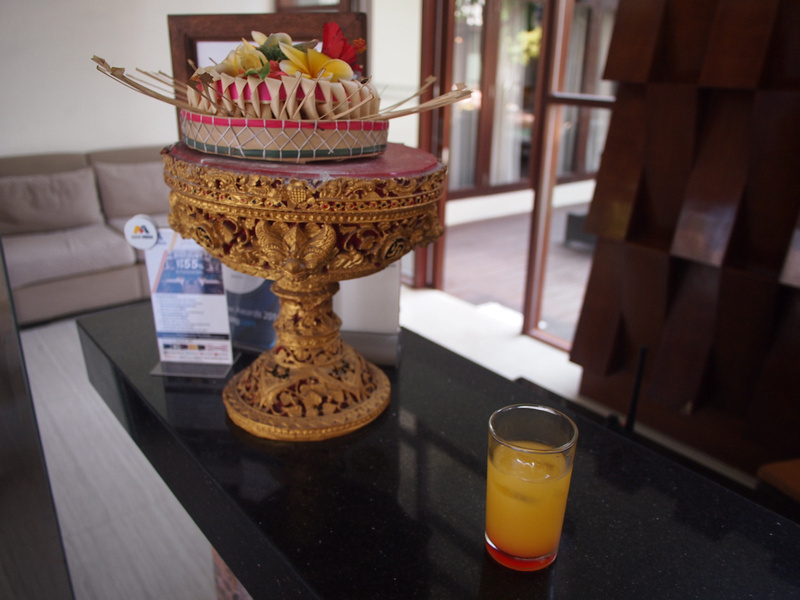 Book the Sense Hotel Seminyak online or search for more hotels in Bali.